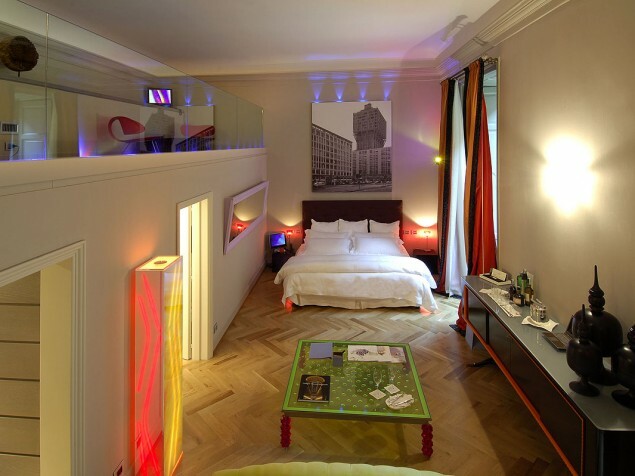 You can shop 'til you drop in this rare hotel setting within a world-famous shopping arcade in Italy's design capital. 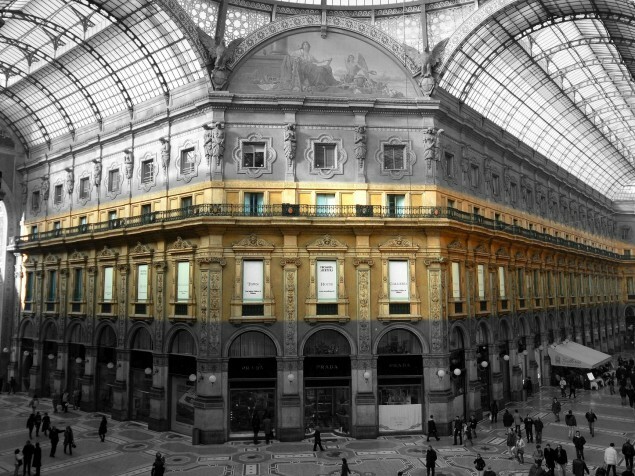 We are longtime fans of the Galleria Vittorio Emanuele II (the “Galleria”) in Milan. It is a late 19th - century masterpiece of public architecture and engineering. It was completed in 1877 and was named after the first king of Italy. The Galleria is the largest, enclosed arcade in Italy, and it became a model for shopping malls well into the 20th century. The abundance of natural daylight into these early mall buildings represents concepts of sustainable design which are still replicated today. The Galleria was designed by architect Giuseppe Mengoni, and restoration efforts have sought to maintain his original design. 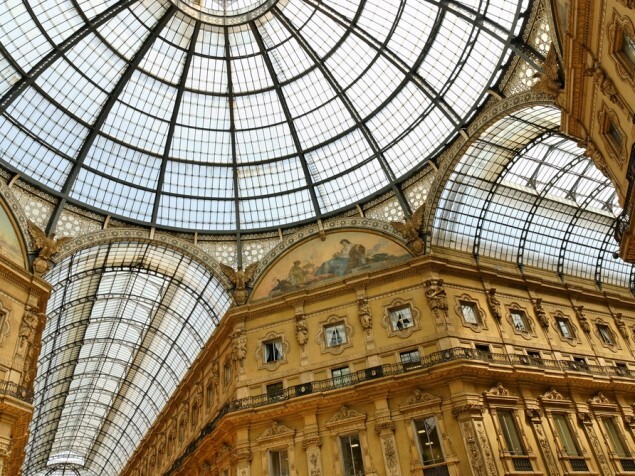 The Galleria is comprised of two, barrel-vaulted, glass-enclosed pedestrian arcades with entrances on Milan’s historic Piazza del Duomo and Piazza della Scala. The arcades were intended to provide covered circulation between two of Milan’s most popular cultural attractions, the Duomo di Milano (cathedral) and La Scala opera house. The 4-story arcades meet in a central octagon highlighted by a dramatic “Grande Dome”. The Grande Dome spans 126 feet in width and rises 152 feet. The Galleria boasts some of the most exclusive retail boutiques in the world. 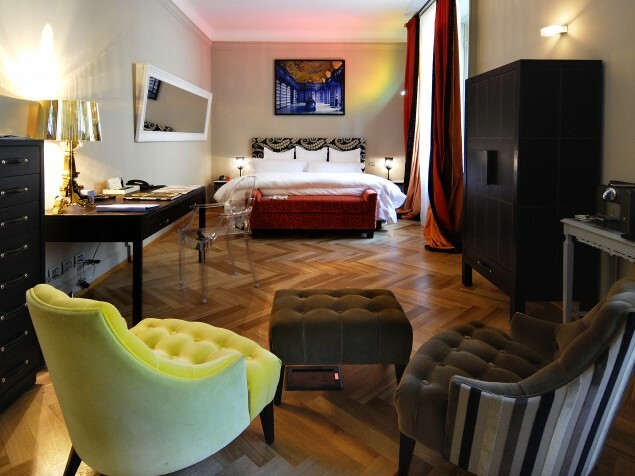 Today, it is also home to the Seven Stars Galleria Milano boutique hotel, part of the Italian luxury brand Townhouse Collection. The hotel has the best position in the Galleria, overlooking the Grand Dome. Its unique design integrates the historic elements of this architectural icon with bold 21st century interiors. The incandescent modern design was led by Alessandro Rosso and Ettore Mocchetti, and the restoration of the historical elements was overseen by the Monuments and Fine Arts Office. The result is a vivid partnering of ultra-modern furnishings and bright lighting and colors with the building’s original architectural features. 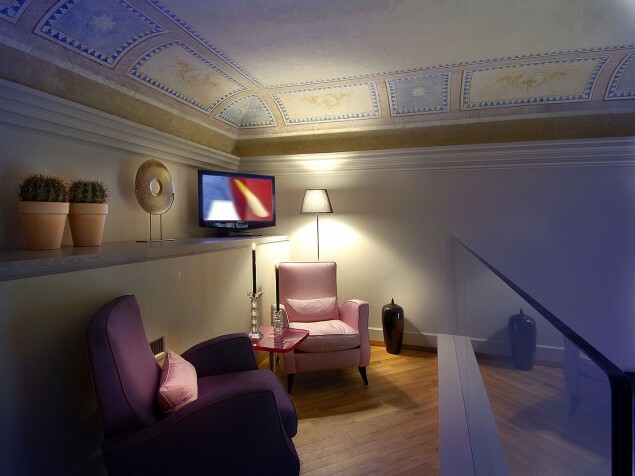 Delicate painted ceiling frescoes and wall panels provide an exciting contrast to the boldness of the interiors. 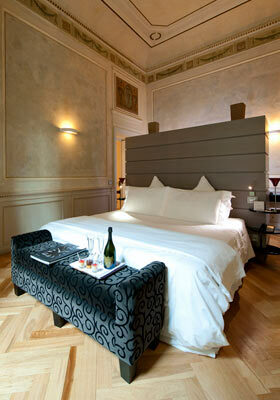 There are 8 guest suites, each named after famous composers from the nearby La Scala opera house. Each suite overlooks the Galleria. 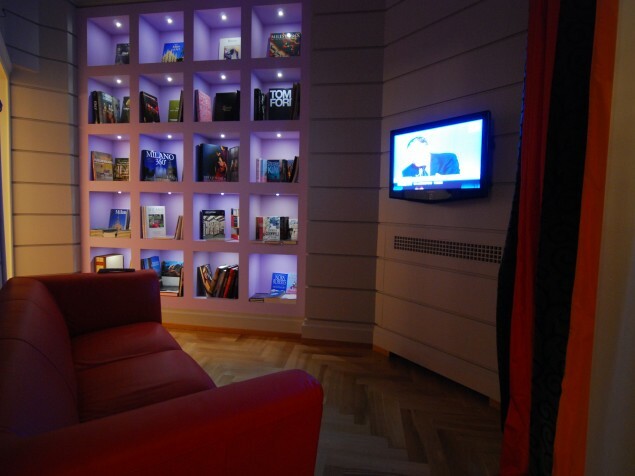 The Ambassador Wing is a large apartment which can also be used for executive meetings and receptions. All rooms have private butler service. Restaurant La Sinfonia offers customized cuisine for hotel guests and has optimal views of the Grande Dome. There is a separate suite of meeting spaces in the Galleria that can be rented for large social or corporate events. What a brilliant idea, on so many levels, to open a luxury boutique hotel in this famous architectural monument. Not only is it located in the heart of Milan, it is also surrounded by the most exclusive retail boutiques in the world — now this is a winning combination.